After having a lazy Sunday I was craving something comforting for dinner. 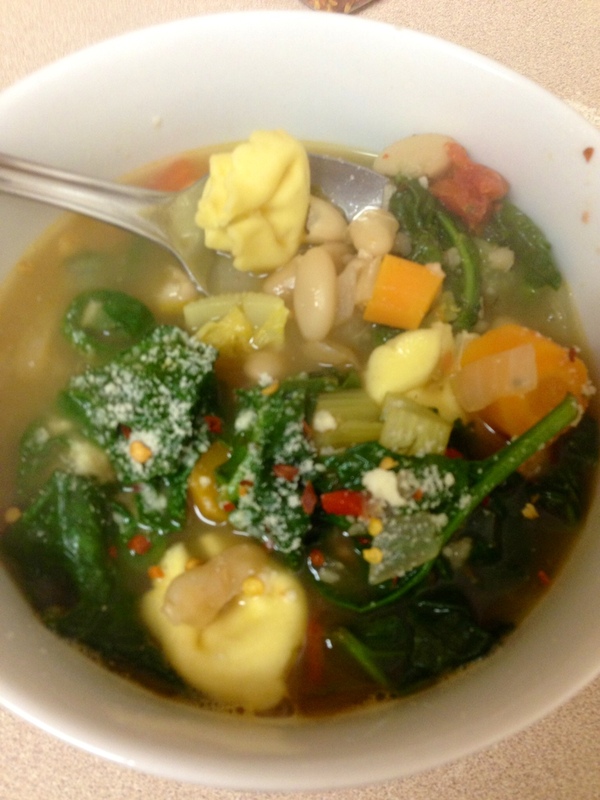 I came up with this recipe by just adding all of my favorite ingredients into one pot. It turned out delicious! 1.) Start by adding the olive oil to a large pot and heat on medium high for about a minute, then add the onions. Let the onions sweat for about 3-5 minutes, stirring frequently. 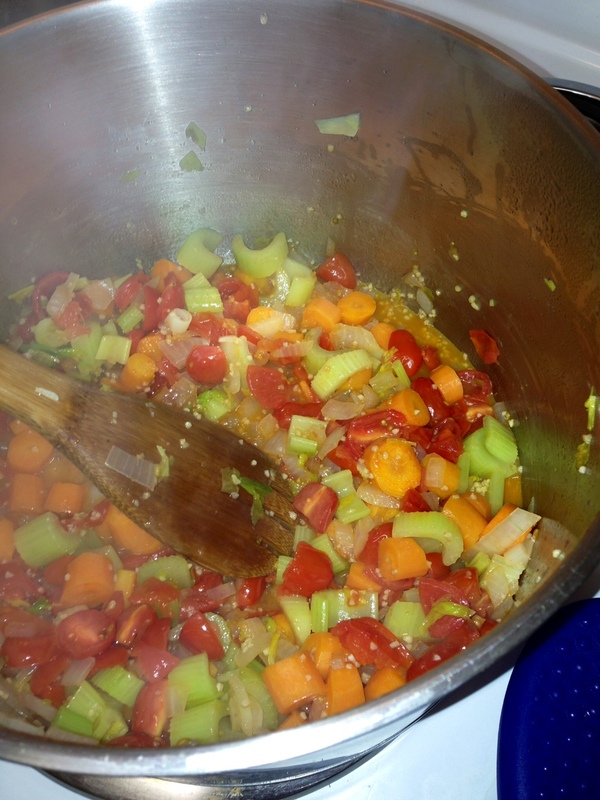 Add the celery, carrots, onions, oregano, dill and tomatoes. Turn heat down to medium and let cook for 8-10 minutes, stirring frequently. 2.) Turn heat to medium low, add the chicken broth, bouillon and beans, cover and let cook for 30 minutes . 3.) Add salt and pepper to taste. Add the tortellini- cook by bringing the heat back up to medium high for about 3 minutes, and the tortellini will be cooked. Add the spinach at the very end. 4.) I sprinkled some Parmesan cheese and crushed reds into my bowl. Enjoy!